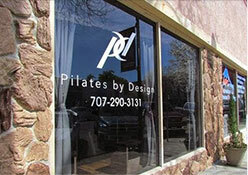 Our goal at Pilates By Design is to make Pilates accessible to everyone through a reasonable pricing structure that allows a greater variety of clientele to have the opportunity to experience the benefits of Pilates. We sell classes in packages, at a discounted price, and as single purchases. The more classes you buy the bigger the discount!